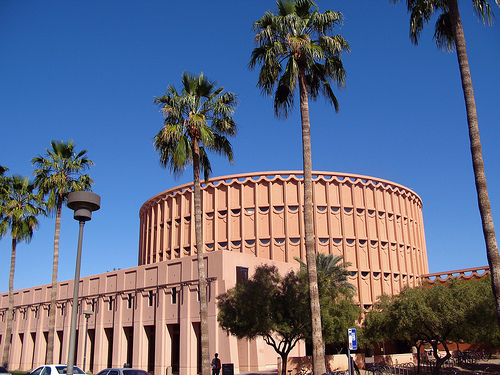 Music Building, Arizona State University. Designed by Wesley Peters, Frank Lloyd Wright’s son-in-law. Digital ID: DEN_1409V. Music Visualizations, Synchoric Orchestra dancing Schubert’s Unfinished Symphony, first performed in 1919 at Shawn’s Grand Ave., Los Angeles studio. 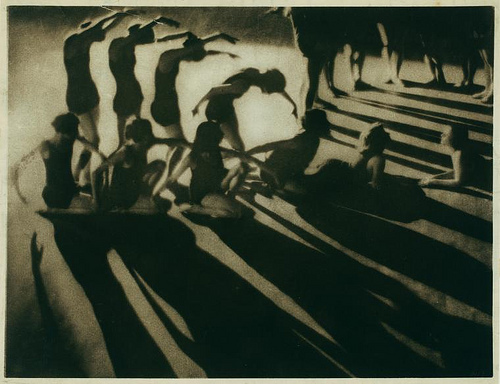 (Later done in 1931 at Lewisohn Stadium, with children.). Kales, Arthur — Photographer. 1919. Notes: National Endowment for the Arts Millennium Project. Image surface deteriorated. Repository: The New York Public Library. The New York Public Library for the Performing Arts. Jerome Robbins Dance Division. See more information about this image and others at NYPL Digital Gallery.